Leptin has also been found to be effective in reducing metabolic abnormalities in individuals who lack normal adipose tissue depots due to congenital or acquired generalized lipodystrophies.10,11 Unlike individuals with genetic leptin deficiency, lipodystrophic individuals are exceedingly lean and produce little or no leptin due to the lack normal adipose tissue (where leptin is normally produced).12 Lipodystrophic individuals adapt to the inability to store lipids in fat by inappropriately storing them in other tissues such as muscle and liver, resulting in severe lipotoxic insulin resistance, diabetes, and eventually fulminant liver failure due to steatohepatitis.13 Leptin treatment of lipodystrophic individuals reverses or ameliorates these metabolic derangements. Despite these examples of beneficial effects of leptin treatment, studies with purified recombinant human leptin in common types of obesity were disappointing: most individuals with obesity exhibit little or no change in weight with leptin treatment.14,15 Why is this? 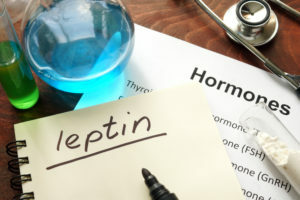 Leptin production is directly coupled to fat mass, obese people generally exhibit unusually high circulating levels of leptin that are sustained over many years. This chronic elevation of leptin in obesity, along with hyperinsulinemia and other metabolic derangements, are believed to produce a state of “leptin resistance” in the hypothalamus.16 In effect, the primary pathway through which leptin controls appetite and metabolism becomes inherently flawed at some point in obese individuals, such that the brain does not adequately receive or relay the signal to decrease food intake and increase energy expenditure. Leptin resistance in the hypothalamus and the subsequent decreased sympathetic outflow to fat produces even greater production and release of leptin (further aggravating hypothalamic leptin resistance in a feed-forward manner). Therefore, if circulating leptin levels are in excess to fat mass (estimated by BMI), it is indicative of a more severe state of leptin resistance. The leptin:BMI ratio provides a quantitative assessment for the severity of leptin resistance in obesity. Sustained elevations in plasma leptin levels are associated with obesity, overeating, and inflammation-related diseases including hypertension, metabolic syndrome, and cardiovascular disease (CVD).24 It is thought that increases in leptin level (in response to caloric intake) act as an acute response mechanism to prevent excess cellular stress caused by over-eating when adipose tissue depots are already replete, which can lead to ectopic fat storage within internal organs, arteries, and muscle.25 In other words, Leptin is trying to keep you from over-eating. The postprandial rise in circulating insulin levels induces an increase in leptin in a dose-dependent fashion. This effect is enhanced by high cortisol levels.26 However, although most obese individuals have high leptin levels, these common forms of obesity are associated with acquired impairment in the response to elevated leptin levels, which therefore do not induce the expected reduction in feeding and body weight that would mitigate obesity. Such “leptin resistance” is thought to be an important component in the development of obesity and is somewhat analogous to “insulin resistance,” wherein elevated insulin levels are required to maintain blood glucose levels in the normal range.27,28 The chronic hyperleptinemia which characterizes obesity decreases the transport of leptin into the central nervous system (CNS) and/or impairs the signaling properties of leptin receptors such that acute leptin responses do not adequately signal “fullness” to the brain to curb hunger. Outside of the Central Nervous System, leptin can directly affect glucose metabolism by enhancing insulin action in the skeletal muscle, liver, adipose tissue, and by improving function of the pancreatic β cells.36 Leptin suppresses insulin secretion from the pancreas, decreases the production of glucose in the liver, and increases glucose and fatty acid oxidation in both muscle and adipose tissue.36,37 Most of the effects of leptin are mediated on these tissues indirectly via leptin actions in the hypothalamus. In animal models of leptin deficiency, leptin treatment also reduces cellular damage via suppression of cardiomyocyte apoptosis in animal models of ischemia reperfusion injury.62 However, leptin deficiency in animals is distinctly different from the phenomena of leptin resistance and hyperleptinemia that typify normal human obesity. Importantly, individuals with evidence of more severe leptin resistance will likely require greater medical and social support measures to achieve and maintain substantial weight loss through lifestyle modifications such as diet and exercise. 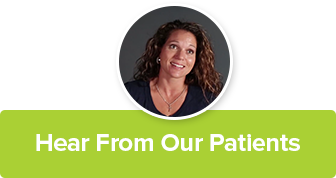 Hence, these individuals may benefit from more frequent and intensive interaction with medical providers, dieticians, and nutrition and exercise counselors to successfully lose weight and maintain weight loss. In addition, bariatric surgery may be a consideration in the treatment of obese individuals with leptin resistance, especially for individuals with type 2 diabetes or other obesity-related morbidities recognized as indications for bariatric surgery. In general, for obese individuals with elevated circulating leptin levels, weight loss may be one of the primary therapeutic targets. The following lifestyle recommendations and medications can be used to reduce insulin resistance and improve β-cell function, personalized to the individual patient’s clinical needs. Leptin Manager (supplement from Xymogen) – shown to reduce weight (0.55kg loss in 12 wks) and leptin levels. Zhang Y, Proenca R, Maffei M, et al. Positional cloning of the mouse obese gene and its human homologue. Nature 1994;372(6505):425-432. Frederich RC, Hamann A, Anderson S, et al. Leptin levels reflect body lipid content in mice: evidence for diet-induced resistance to leptin action. Nat Med 1995;1(12):1311-1314. Pelleymounter MA, et al. Effects of the obese gene product on body weight regulation in ob/ob mice. Science 1995;269(5223):540-543. Halaas JL, et al. Weight-reducing effects of the plasma protein encoded by the obese gene. Science 1995;269(5223):543-546. Cannon B, Nedrgaard J. Brown adipose tissue: function and physiological significance. Physiol Rev 2004;84: 277-359. Unger RH, Scherer PE. Gluttony, sloth and the metabolic syndrome: a roadmap to lipotoxicity. Trends Endocrinol Metab 2010;21(6):345-52. Green ED, Maffei M, Braden VV, et al. The human obese (OB) gene: RNA expression pattern and mapping on the physical, cytogenetic, and genetic maps of chromosome 7. Genome Res 1995;5(1):5-12. El-Sayed Moustafa JS, Froguel P. From obesity genetics to the future of personalized obesity therapy. Nat Rev Endocrinol 2013 9(7):402-13. Farooqi IS, Matarese G, Lord GM, et al. Beneficial effects of leptin on obesity, T cell hyporesponsiveness, and neuroendocrine/metabolic dysfunction of human congenital leptin deficiency. J Clin Invest 2002;110:1093-103. Oral EA, Simha V, Ruiz E, et al. Leptin-replacement therapy for lipodystrophy. N Engl J Med 2002;346(8):570-8. Chan JL, Lutz K, Cochran E, et al. Clinical effects of long-term metreleptin treatment in patients with lipodystrophy. Endocr Pract 2011;17(6):922-32. Firoenza CG, Chou SH, Mantzoros CS. Lipodystrophy: pathophysiology and advances in treatment. Nat Rev Endocrinol 2011;7(3):137-150. Capeau J, Magré J, Lascols O, et al. Diseases of adipose tissue: genetic and acquired lipodystrophies. Biochem Soc Trans 2005;33(5):1073-7. Zelissen PM, Stenlof K, Lean ME, et al. Effect of three treatment schedules of recombinant methionyl human leptin on body weight in obese adults: a randomized, placebo-controlled trial. Diabetes Obes Metab 2005;7(6):755-61. Heymsfield SB, Greenberg AS, Fujioka K, et al. Recombinant leptin for weight loss in obese and lean adults: a randomized, controlled, dose-escalation trial. JAMA 1999;282(16):1568-75. Schwartz MW, Porte D Jr. Diabetes, obesity, and the brain. Science 2005;307:375-379. Lustig RH. Childhood obesity: behavioral aberration or biochemical drive? Reinterpreting the First Law of Thermodynamics. Nat Clin Pract Endocrinol Metab 2006;2(8):447-58. Obici S, Rossetti L. Minireview: nutrient sensing and the regulation of insulin action and energy balance. Endocrinology 2003;144(12):5172-8. Ahima RS, et al. Role of leptin in the neuroendocrine response to fasting. Nature 1996;382(6588):250-252. Shah NR, Braverman ER. Measuring adiposity in patients: the utility of body mass index (BMI), percent body fat, and leptin. PLoS One 2012;7(4):e33308. Ricci MR, Fried SK. Isoproterenol decreases leptin expression in adipose tissue of obese humans. Obes Res 1999;7(3):233-40. Ricci MR, Lee MJ, Russell CD, et al. Isoproterenol decreases leptin release from rat and human adipose tissue through posttranscriptional mechanisms. Am J Physiol Endocrinol Metab 2005;288(4):E798-804. Fulda S, Linseisen J, Wolfram G, et al. Leptin plasma levels in the general population: influence of age, gender, body weight and medicalb history. Protein Pept Lett 2010;17(11):1436-40. Gautron L, Elmquist JK. Sixteen years and counting: an update on leptin in energy balance. J Clin Invest 2011;121(6):2087-2093. Morton JM, Schwartz MW. Leptin and the central nervous system control of glucose metabolism. Physiol Rev 2011;91:380-411. Wabitsch M, Jensen PB, Blum WF, et al. Insulin and cortisol promote leptin production in cultured human fat cells. Diabetes 1996;45(10):1435–1438. Scarpace PJ, Zhang Y. Leptin resistance: a prediposing factor for diet-induced obesity. Am J Physiol Regul Integr Comp Physiol 2009;296:R493–R500. Martin SS, Qasim A, Reilly MP. Leptin resistance. A possible interface of inflammation and metabolism in obesity-related cardiovascular disease. JACC 2008;52(15):1201-1210. Mantzoros CS, Magkos F, Brinkoetter M, et al. Leptin in human physiology and pathophysiology. Am J Physiol Endocrinol Metab 2011;301:E567-E584. Oswal A, Giles Y. Leptin and the control of body weight: A review of its diverse central targets, signaling mechanisms, and role in the pathogenesis of obesity. Obesity 2010;18:221-229. Bergman RN, Ader M. Atypical antipsychotics and glucose homeostasis. J Clin Psychiatry 2005;66:504-514. Zaletel J, Barlovic DP, Prezelj J. Adiponectin-leptin ratio: a useful estimate of insulin resistance in patients with Type 2 diabetes. J Endocrinol Invest 2010;33(8):514e8. Oda N, Imamura S, Fujita T, et al. The ratio of leptin to adiponectin can be used as an index of insulin resistance. Metabolism 2008;57(2):268e73. Rasmussen-Torvik LJ, Wassel CL, Ding J, et al. Associations of body mass index and insulin resistance with leptin, adiponectin, and the leptin-to-adiponectin ratio across ethnic groups: the Multi-Ethnic Study of Atherosclerosis (MESA). Ann Epidemiol 2012;22(10):705-9. Kappelle PJ, Dullaart RP, van Beek AP, et al. The plasma leptin/adiponectin ratio predicts first cardiovascular event in men: a prospective nested case-control study. Eur J Intern Med 2012;23(8):755-9. Marroqui L, Gonzalez A, Neco P, et al. Role of leptin in the pancreatic β-cell: effects and signaling pathways. J Molec Endocrinol 2012;49:R9-R17. Minokoshi Y, Kim YB, Peroni OD, et al. Leptin stimulates fatty acid oxidation by activating AMP-activating protein kinase. Nature 2002;415:339-343. Lee YH, Magkos F, et al. Effects of leptin and adiponectin on pancreatic β-cell function. Metabolism 2011;60:1664-1672. Kieffer TJ, Habener JF. The adipoinsular axis: effects of leptin on pancreatic beta-cells. Am J Physiol Endocrinol Metab 2000;278:E1-4. Seufert J. Leptin effects on pancreatic beta-cell gene expression and function. Diabetes 2004;53(Suppl 1):S152-8. Dardeno TA, Chou SH, Moon HS, et al. Leptin in human physiology and therapeutics. Front Neuroendocrinol 2010;31:377-393. Ren J. Leptin and hyperleptinemia – from friend to foe for cardiovascular function. J Endocrinol 2004;181(1):1-10. Fantuzzi G, Faggioni R. Leptin in the regulation of immunity, inflammation, and hematopoiesis. J Leukoc Biol 2000;68(4): 437–46. Matarese G, Procaccini C, De Rosa V, et al. Regulatory T cells in obesity: the leptin connection. Trends Mol Med 2010;16(6):247-56. Heiman ML, Ahima RS, Craft LS, et al. Leptin inhibition of the hypothalamic-pituitary-adrenal axis in response to stress. Endocrinology 1997;138(9):3859–3863. Mabuchi T, Yatsuya H, Tamakoshi K. Association between serum leptin concentration and white blood cell count in middle-aged Japanese men and women. Diabetes Metab Res Rev 2005;21(5):441–447. Chan JL, Heist K, DePaoli AM, Veldhuis JD, Mantzoros CS. The role of falling leptin levels in the neuroendocrine and metabolic adaptation to short-term starvation in healthy men. J Clin Invest 2003;111(9):1409–1421. Harsch IA, Konturek PC, Koebnick C, et al. Leptin and ghrelin levels in patients with obstructive sleep apnoea: effect of CPAP treatment. Eur Respir J 2003;22(2): 251–257. Seaborg E. Growing evidence links too little sleep to obesity and diabetes. Endocrine News 2007: 14–15. Knutson KL, Spiegel K, Penev P, et al. The metabolic consequences of sleep deprivation. Sleep Med Rev 2007;11(3):163–178. Hafner S, Baumert J, Lacriz ME, et al. Sleep disturbances and depressed mood: a harmful combination associated with increased leptin levels in women with normal weight. Biol Psychol 2012; 89(1):163-9.
de Salles BF, Simão R, Fleck SJ, et al. Effects of resistance training on cytokines. Int J Sports Med 2010;31(7):441–450. Otsuka R, Yatsuya H, Tamakoshi K, et al. Perceived psychological stress and serum leptin concentrations in Japanese men. Obesity (Silver Spring) 2006;14(10):1832–1838. Ahima RS, Flier JS. Leptin. Annu Rev Physiol 2000;62:413–437. Mantzuros CS. Leptin in renal failure. J Ren Nutr 1999;9:122-125. Asimakopoulos B, Milousis A, Gioka T, et al. Serum pattern of circulating adipokines throughout the physiological menstrual cycle. Endocr J 2009;56(3):425-33. Ben Ali S, Jemaa R, Ftouhi B, et al. Relationship of plasma leptin and adiponectin concentrations with menopausal status in Tunisian women. Cytokine 2011;56(2):338-42. Sweeney G. Cardiovascular effects of leptin. Nat Rev Cardiol 2010;7:22-29. Abel ED, Sweeney G. Modulation of the cardiovascular system by leptin. Biochimie 2012;94:2097-2103. Reilly MP, Iqbal N, Schutta M, et al. Plasma leptin levels are associated with coronary atherosclerosis in type 2 diabetes. J Clin Endocrinol Metab 2004;89(8):3872-8. Lee Y, Naseem RH, Duplomb L, et al. Hyperleptinemia prevents lipotoxic cardiomyopathy in acyl CoA synthase transgenic mice. Proc Natl Acad Sci USA 2004;101(37):13624-9. Smith CC, Yellon DM. Adipocytokines, cardiovascular pathophysiology and myocardial protection. Pharmacol Ther 2011;129(2):206-19. Söderberg S, Ahrén B, Jansson JH, et al. Leptin is associated with increased risk of myocardial infarction. J Intern Med 1999;246(4):409-18. Lavie CJ, Milani RV, Ventura HO. Obesity and cardiovascular disease: risk factor, paradox, and impact of weight loss. J Am Coll Cardiol 2009;53:1925-32. Oral EA, et al. Leptin-replacement therapy for lipodystrophy. N Engl J Med 2002;346(8):570-578. Licinio J, et al. Phenotypic effects of leptin replacement on morbid obesity, diabetes mellitus, hypogonadism, and behavior in leptindeficient adults. Proc Natl Acad Sci USA 2004;101(13)4531-4536. Kelesidis T, Kelesidis I, Chou S, et al. Narrative review: the role of leptin in human physiology: emerging clinical applications. Ann Intern Med 2010;152:93-100. Friedman JM, Halaas JL. Leptin and the regulation of body weight in mammals. Nature 1998;395(6704):763–770. Heymsfield SB, Greenberg AS, Fujioka K, et al. Recombinant leptin for weight loss in obese and lean adults: a randomized, controlled, dose-escalation trial. JAMA 1999;282(16):1568–1575. Lo KM, Zhang J, Sun Y, et al. Engineering a pharmacologically superior form of leptin for the treatment of obesity. Protein Eng Des Sel 2005;18(1):1–10. Ravussin E, Smith SR, Mitchell JA, et al. Enhanced weight loss with pramlintide/metreleptin: an integrated neurohormonal approach to obesity pharmacotherapy. Obesity (Silver Spring) 2009;17:1736-43. Mirza NM, Palmer MG, Sinclair KB, et al. Effects of a low glycemic load or a low-fat dietary intervention on body weight in obese Hispanic American children and adolescents: a randomized controlled trial. Am J Clin Nutr 2013;97:276-285. Yki-Järvinen H. Nutritional modulation of nonalcoholic fatty liver disease and insulin resistance: human data. Curr Opin Clin Nutr Metab Care 2010;13(6):709-14. Bradley U, Spence M, Courtney CH, et al. Low-fat versus low-carbohydrate weight reduction diets: effects on weight loss, insulin resistance, and cardiovascular risk: a randomized control trial. Diabetes 2009;58(12):2741-8. Ross R, Janssen I, Dawson J, et al. Exercise-induced reduction in obesity and insulin resistance in women: a randomized controlled trial. Obes Res 2004;12(5):789-798. O’Hagan C, De Vito G, Boreham CA. Exercise prescription in the treatment of type 2 diabetes mellitus: current practices, existing guidelines and future directions. Sports Med 2013;43:39-49. Davidson LE, Hudson R, Kilpatrick K, et al. Effects of exercise modality on insulin resistance and functional limitation in older adults: a randomized controlled trial. Arch Intern Med 2009;169(2):122-131. Aguilar RB. Evaluating treatment algorithms for the management of patients with type 2 diabetes mellitus: a perspective on the definition of treatment success. Clin Ther 2011;33(4):408-24. Moore EM, Mander AG, Ames A, et al. Increased risk of cognitive impairment in patients with diabetes is associated with metformin. Diabetes Care 2013;36(10):2981-7.